Can iTunes music be converted to MP3? if you want convert music in iTunes to MP3, which format is suitable for almost all players and mobile device, you must remove DRM protection of iTunes music, and then convert iTunes to MP3. converted iTunes music is no-protected by DRM, and you can feel free to enjoy them in other players and mobile device. All audio in iTunes is protected by DRM. Even if you have just imported playlist from computer to iTunes, those playlist is also protected by DRM. You can't export DRM protected iTunes music to computer or you can't enjoy DRM protected iTunes music in Android or other players. But we always have the ideal to play iTunes music in Android phone, or we want burn CD from iTunes, even play iTunes library in other players for free. Now it's easy, and you can get the iTunes library with original quality without DRM protection. With Eelphone Apple Music Converter, we can remove DRM protection of iTunes library easily, and if you worry about the converted iTunes music quality, Original Quality of output for your choice. And we can convert iTunes library in bale, save so many time to convert DRM protected iTunes music. We have more time to do other more meaningful thing. But we should point out that, not only DRM protected music, but also those DRM-free audio can be converted to other format. Eelphone Apple Music Converter play one role to remove DRM protection of audio, but also play one role to convert audio to MP3, M4A, AAC, FLAC, WAV, M4B, those formats are common in our day life, and suitable almost all players and mobile device. 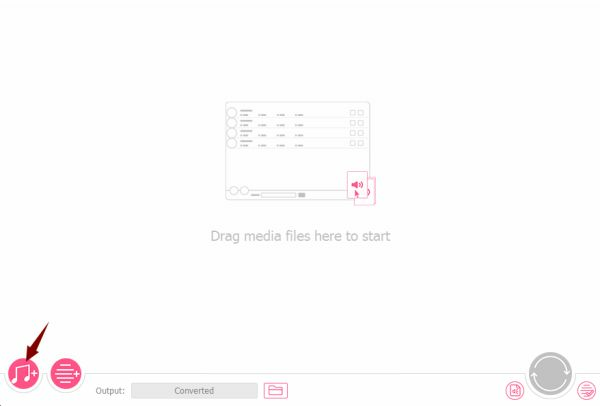 Step 1: Free download Eelphone Apple Music Converter in your Window or MAC computer, install it according to your PC, and launch it once installed. From the home page, we can get all features of Eelphone Apple Music Converter. If you want convert DRM-protected audio, you need tap on the first icon in the bottom left. Step 2: From the DRM-protected audio icon, we can import iTunes library from here, at the same time, the iTunes in your computer will work automatically. Select the iTunes library you want to convert to MP3. Step 3: The output settings is also important for us. The output format: MP3, M4A, AAC, FLAC, WAV, M4B, six output format for your choice. If you want enjoy iTunes music with original quality, the output quality you should select Original Quality. And you can also define the save path of converted iTunes playlist, so that you can find converted audio easily from the save path. Converted iTunes music can be imported to Android phone and burn to CD. Step 4: All is ready, just tap on Convert to start convert iTunes library to MP3. just wait a few minutes during the process. And from Converted, you can get the converted playlist, if you want get more iTunes music without DRM protection, repeat the steps above. 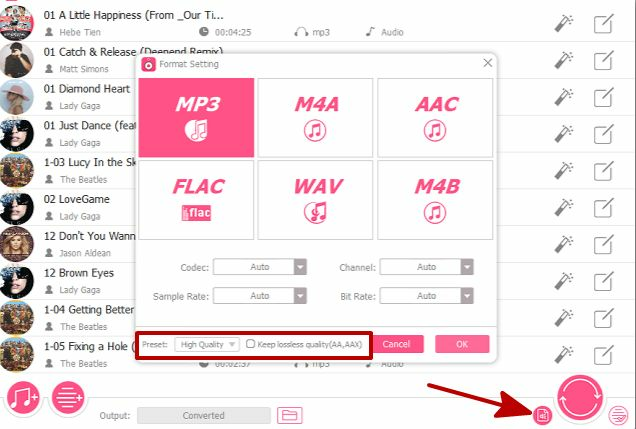 Convert iTunes files to MP3 just need 4 steps. All converted iTunes music is in your computer. You can play it offline, and drag it to your Android or other mobile device or players.